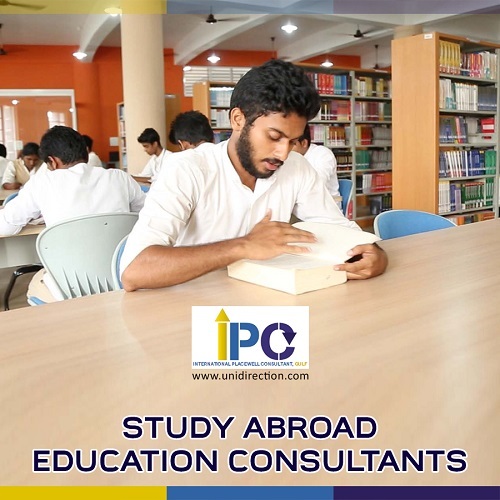 IPC > Blog > study abroad consultants in Dubai > Study Abroad: Mistakes Not to Do! Studying abroad and living in other places is the first chance to discover and travel in one’s own world. Ambitious, inexperienced and especially excited by discovery and adventure, young people are confronted with a number of delicate situations and hardships that they must meet with great wisdom and discernment. And if we put the flea in your ear on the flagship mistakes not to commit during a stay abroad? Learning the language of the host country is a prerequisite for staying there. For some destinations, the official language is sacred. Communicating in another language for the duration of your stay abroad may be frowned upon. Enrolling in an English curriculum is also not an excuse. Learn the basic vocabulary with the help of your study abroad education consultants before going to the host country and enroll in language classes once there. Thus, you will gain confidence and esteem! Studying abroad means being part of a community that has its own traditions, norms, laws, and culture. If certain behaviors or things change (a lot) in your home, get used to familiarize yourself with the new requirements. Being a stranger is not a good excuse either. We are not asking you to change your habits and behaviors, but to respect the environment to which you belong. The approximate budget for your stay must be determined in advance. You cannot start your stay abroad without having an idea about the required budget. Define a daily budget, informing you in advance about the cost of living (food, transport, outings, etc.) and any expenses that may or may not be planned. You can also think of a student job once there, to round off the ends of the month! Staying in touch with your friends (in the country of origin) can only be a welcome gesture, but getting locked in on oneself and limiting one’s circle of acquaintances and friends to one’s home country is a big mistake. Learn to disconnect to better connect with your host country. You have so many things and people to discover! The purpose of your stay is to succeed in your studies. Your student status requires respect for the main purpose. It is certainly not about 100% study and neglecting the fun and discovery, but to reconcile the two. If you manage to do it, you will be able to profit from your stay abroad, without regrets!